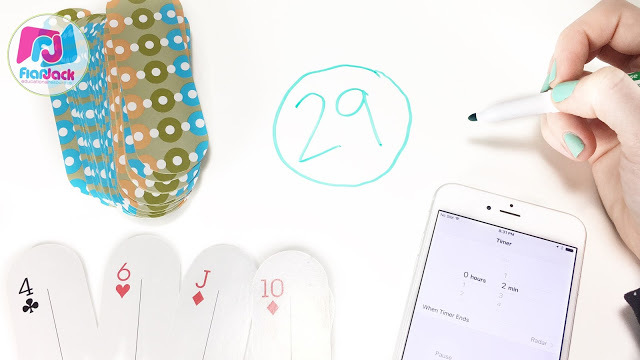 An Easy, Fun Math Game for Leap Day Or Any Day! 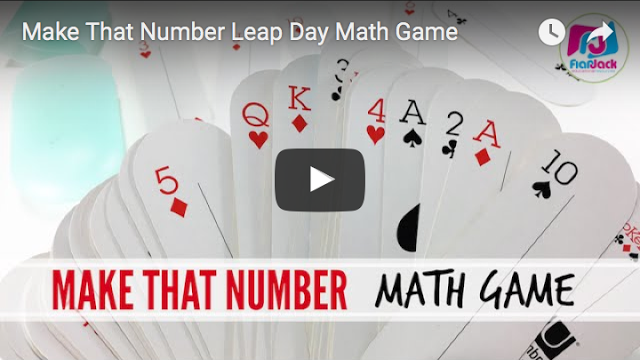 If you’re looking for something quick and easy to make Leap Day special, try this fun and engaging math game that will really make your students think! I was hoping to find something cute and easy for my Spanish immersion kids to celebrate Leap Day tomorrow, but since it’s not a common event, it seems there’s not a lot out there for celebrating El Año Bisiesto. 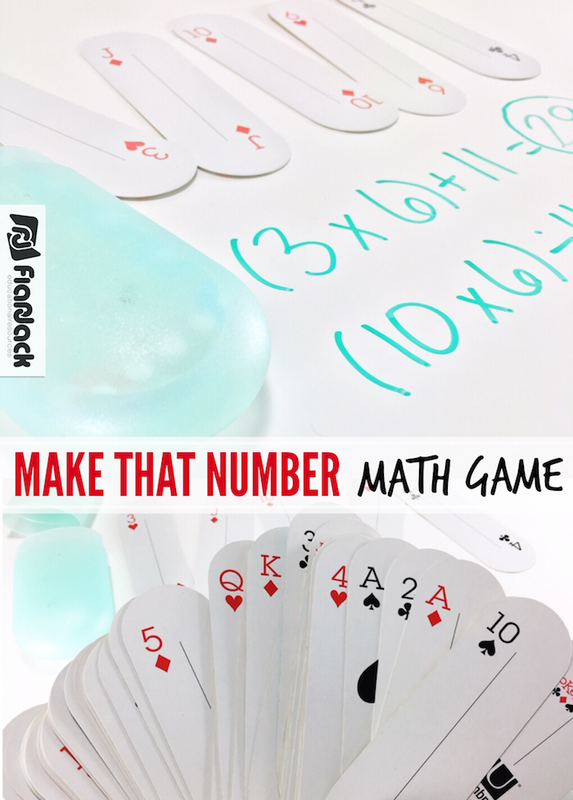 I myself did not want to create something I can’t use again until 2020, so I decided to tweak an Every Math game I used to play called Name That Number. You can watch the video tutorial or keep on scrolling for the instructions. ***Update: I’ve received a lot of questions about these cards. 😛 I found mine at Goodwill but can’t find the exact ones online. There is a similar set on Amazon (this is an affiliate link, I receive a small commission at no extra charge to you). If you Ebay, you can also trying snagging a set there. 1) Students can play individually or in groups. I will have mine play by table. 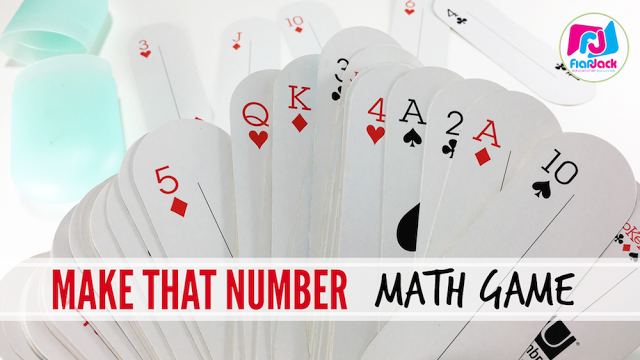 2) Choose five random numbers by pulling from the deck of cards, rolling the die, or choosing from the number generator (use numbers 0-12). These are the values I give to the non-number cards. 3) Choose an objective two-digit number. To tie in Leap Day, we will be using the number 29. If it’s not Leap Day (most likely), you can have a student choose their favorite number. 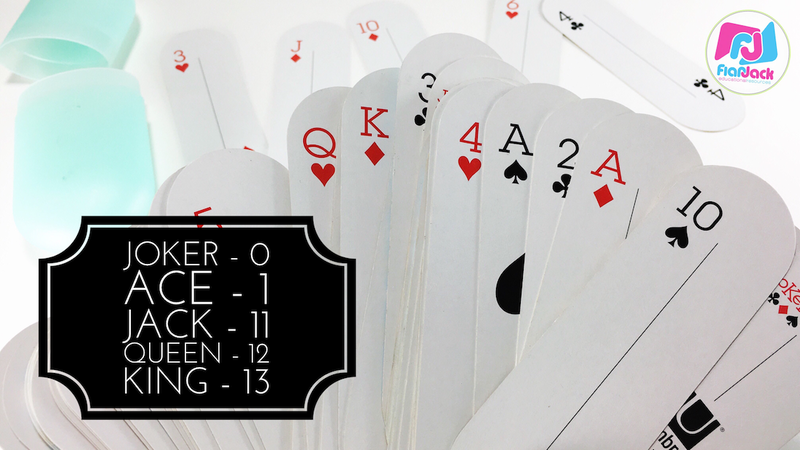 These playing cards were a Goodwill find – I love their unusual shape! 4) Set the timer for two minutes (or whatever you choose). 5) Students try to create an expression using the five random digits that is equal to the objective numbers. 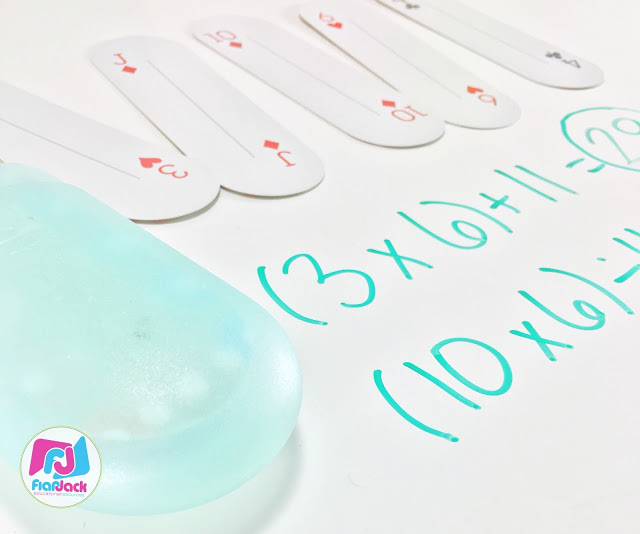 They can use any of the four operations (lower grades can just use addition and subtraction). 3) If a student/team uses all five numbers, that round ends and they earn five points. 4) Play a few rounds. The team with the most points at the end wins. And that’s it! It’s been a few years since I’ve used this game, but I know the group of kiddos I have this year will knock it out of the ballpark. Let me know if you play it and how it goes! *Tabitha Carro is a participant in the Amazon Services LLC Associates Program, an affiliate advertising program designed to provide a means for sites to earn advertising fees by advertising and linking to Amazon properties including, but not limited to, amazon.com, endless.com, myhabit.com, smallparts.com, or amazonwireless.com. Love this! I'm curious – what type of playing cards are those?!? You can also try your luck at Ebay – http://www.ebay.com/itm/like/331790894885?lpid=82&chn=ps&ul_noapp=true.